Demand for milk alternatives is on the rise, due to changes in dietary choices, taste preference and lifestyle alterations including lactose intolerance, veganism, healthy eating diet restrictions and more. However, it can still be difficult to find a dairy milk substitute that truly makes the cut for both quality and flavour. 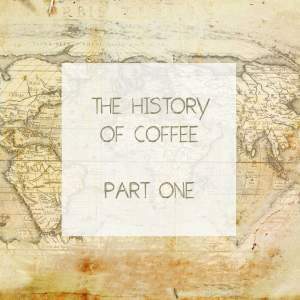 It’s a growing area of specialty coffee, but one which is often ignored. Regardless of reasons, milk alternatives are something that Pollards want to address in this blog post. 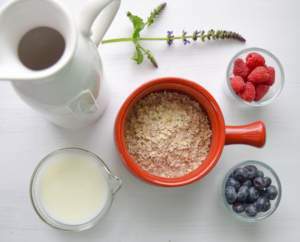 Different types of milk substitutes are so varied it can be a minefield to begin with. The different products provide all sorts of textures and tastes, so it’s important to find one that suits you. This is a guide to the flavour qualities of commonly found milk alternatives. As well as some useful tips on each in regards to preparation and coffee. 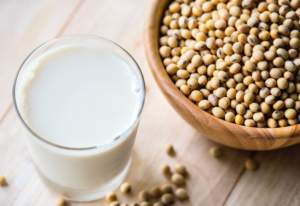 Soy milk is generally considered to be the least tasty of the milk alternatives, though it is usually the most widely available. And thus, first on our list. This is because it is both a nut and a dairy free product. 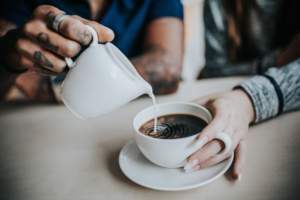 For coffee, it has good nutritional content which is can be good for steaming and foaming, but only when done correctly, see more information below. Soy milk can create a creamy and rich mouthfeel not too dissimilar to that created by using dairy milk. Having said that, soy milk does have a strong flavour in itself, which can limit some of the subtler coffee flavours. It is often for this reason that specialty coffee lovers will opt for a less overwhelming milk alternative. Unfortunately, Barista’s often note that soy milk struggles to take to latte art – it does tend to curdle with espresso if not prepared correctly. Tips to avoid poor texture with milk alternatives are found later in this post. For now, take note that most soy milks tends to ‘behave’ best when steamed to around 60 degrees Celsius (140 degrees Fahrenheit), and together with the espresso shot from our experience. Almonds are often considered a superfood, and for good reason. Packed full of nutrients with no cholesterol or saturated fats, almond milk is on the rise with the health conscious. It is often widely preferred over soy milk for its less overpowering flavour, but it does have a distinctly ‘nutty’ flavour which can be overwhelming in some specialty drinks, and probably most importantly for some, it isn’t suited for people will nut allergies. Almond milk has a fat content similar to many skimmed dairy milks (1g or lower per 100ml), but a low protein content too (sometimes as low as 0.3g per 100ml). Due to this, it can be difficult to produce long-lasting and dense milk foam for pouring latte art or achieving a creamy texture in your coffee – though some people do have more success with homemade almond milk where they can add more almonds to taste. Almonds, although great for us, they aren’t so good for the environment. This is because they require a lot of water in order to grow. Almonds are blamed significantly for the droughts and fish population depletion in areas where they grow. Particularly in California, where 80% of the world’s almonds are grown. So if you’re looking for a sustainable alternative then almonds may not be your best option. Rice milk is derived from rice and therefore is safe to drink for those who are lactose intolerant. It is low in fat and is considered a reasonably healthy option for those looking for alternatives to dairy milk. That said, rice milk has very low amounts of protein, similar to almond milk. This means that it doesn’t act anywhere near the same as dairy milk when heated or steamed. It is difficult to create a foam suitable for a cappuccino or other textured coffee beverage. So, if you do enjoy foamy coffee, look for rice milk that has added protein, and if possible, higher fat. A lot of milk alternatives from supermarkets come with extra additives so ensure you check for best results. Coconut milk is often used in savoury dishes such as curries and stews. But when sweetened a little, can provide a tremendous amount of fat. This is great for use in creating excellently textured coffee. In terms of its comparison to dairy milk, it has the richness and creamy texture to match it easily as a replacement. Its flavour is sweet but subtle which often leads coffee drinkers to enjoy the texture it offers while still allowing a palatable balance with the underlying coffee flavours. Its nutrition is a little more complex however. It varies greatly, depending on whether the milk is shop-bought as a nut drink or whether it is only the pressed coconut milk itself. Coconut milk can be around 15g fat per 100ml with a protein content of around 1.5-2g per 100ml, though most are available as a blended water and nut drink. If possible, we recommend buying the coconut milk itself in it’s raw state. By sweetening or blending it with other products, you can tailor its flavour and texture to suit. With a little dilution and a little natural sweetening, coconut milk is usually an excellent alternative to dairy milk in terms of texture and flavour, without being overly nutty and distracting the palate from the all-important coffee flavours. Although this may seem high maintenance it is worth it for the coffee taste. So if you’re looking for a milk alternative with a great taste and better texture that will keep you full for longer, this might just be the milk for you. Oat milk is good for keeping cholesterol levels in check. And since the process of creating the milk keeps all of the soluble fibre intact, oat milk has one of the highest fibre contents of ALL the milks, including almond, coconut, and even cow’s milk! Nutritional benefits aside, oat milk is naturally creamy and sweet. Making this one of the best-tasting milk alternatives tested. Due to its rich texture, it’s starting to become the plant-based milk of choice when it comes to coffee. The heavier consistency makes it perfect for latte art, and adding it cold to any iced coffee or latte will give you a creaminess that goes even beyond whole milk. Since it’s on the sweeter side, it’s also great in smoothies and matcha lattes. So what is the downside to oat milk as a milk substitute? Due to the high sweetness, oat milk does have more calories than the other milk alternatives we have spoke about. Some brands have a lot of sugar too. But this high fat content makes it great for latte art. The brand Oatly even do a super-formable barista variety, which we really like. Oat milk is also one of the best milk alternatives in terms of environmental sustainability too. This is because oats use only one-sixth of the water needed to grow almonds. The milk alternative market has plenty of options, including blended milks too. These milks combine two or more of the stated milk alternatives together to help balance the qualities. If you don’t have allergies or intolerances then this may be a good option for a healthy, yet foamable milk substitute. Cashew milk is a popular example, cashew milk is often blended with other nut milks. This can be a fun way to get the most from your coffee. Mixing the different milk alternatives can give you the ‘best of both worlds’. The key here is to not be afraid to mix it up, keep trying new substitutes on the market and find something that works for you. Specialty coffee is highly acidic, which can spur on curdling effects with soy milk, and potentially other milks too. In order to fix this problem then try & make your coffee less acidic. If possible, brew a slightly more ‘diluted’ espresso shot of lower concentration. Brewing a longer shot of espresso (by brewed weight) or by diluting it ever so slightly can reduce the tendency for curdling to occur. Heat your cup up first then try adding a little of your cold milk alternative into your espresso. Then continue adding the steamed milk. Mixing a little of the cold, more ‘stucturally integral’ milk alternative into your recently brewed, hot espresso shot can help the mixture along its way to smooth and even texture in the end. This does not work perfectly across all milk alternatives. But for most, it can help ease any issues with curdling, or milk that quickly produces fine bubbles in the final drink’s appearance. Cool the heat. Most alternatives to dairy milk have a lower ‘splitting point’, which can be as low as 60 degrees Celsius. Play it safe for your overall drink quality, by simply pre-heating your drink’s cup to a higher temperature. Then only steam your milk to around 60 degrees Celsius. As long as your timing is ok between espresso and milk processes, your drink should then maintain higher temperature by the time it is finished, although you have decreased the milk temperature a little. Before pouring, agitate and mix the milk excessively. This is a good tip with any milk regardless of its make-up, as milk foam will stick to the outside of your milk jug easily. Continuously swirling it in the jug can not only minimise the extent to which that happens. It also homogenises the entirety of your mixture to make it smoother for pouring, while stopping excessive drainage of foam. Experiment with making your own DIY milk alternative or add to the milks on offer. It’s not as hard as you may think, and making them from scratch can require as little as water, nuts, bowls and blending equipment. If this is a lifestyle change then its worth learning to do yourself. Find good quality raw ingredients where possible. Good quality raw nuts will normally contribute to good quality nut milk for example. Aim to find those that are organic if you can. This will help to avoid problems with chemical taints that can crop up through the use of different farming practices involving pesticides, fertilisers etc. These may impart flavour in the ingredients, certainly when raw. Use filtered water. Your milk will only taste as good as the water you use in them, and if possible match the water to that of your coffee machine’s water filter. Matching will not disrupt what (hopefully) is a balanced mineral content for coffee beverages. We recommend first trying simple Brita filter jugs at home, or carbon (often activated charcoal) filters, which can be found inexpensively online). If your water is hard (in terms of limescale) then look into a filter that can suitably reduce the level of your water hardness. Adequate water filtration will benefit your equipment, your brewed coffee, your tap water’s taste and your milks too. Measure how much you’re diluting things. Be careful not to leave yourself with a milk that is too thin. This will not work in your favour when steaming or attempting to otherwise create texture in the milk. Too much water is a common mistake that comes back to bite you with poor texture and weak flavour. So practice and you will get it right in the end. Experiment and don’t be afraid to tweak. Preference is a huge factor when it comes to making coffee so experiment and keep taste testing. You should try using the milks when they are added to coffee in different circumstances too; when cold or hot, and of course when used for popular drinks like cappuccinos, lattes, americanos etc. The more trials you run the more confident you will become in your milk alternative recipes. At the very least you will be better informed when making any changes. As always, if you have any feedback or experiences with milk alternatives at home, then please get in touch via social media, Facebook, Twitter, Instagram. We love to hear from you. To read more blogs or to shop our products click here.